Pakistan’s ruthless bowling performance saw them defend 168-9 to claim a 27-run win despite a Chris Morris half-century in the third T20I at SuperSport Park, writes KHALID MOHIDIN. With the series already won by the Proteas, Pakistan were playing for pride as they aimed to avoid a 3-0 whitewash. The Proteas bowled well to restrict the visitors, whose innings consisted of multiple sub-par scores. Pakistan only managed 168-9, as Beuran Hendricks picked up career-best figures of 4-14 before walking off injured after his final over. Pakistan’s bowling has carried them to the No 1 T20I ranking, and they proved this by changing the script that saw the Proteas claim a 3-0 whitewash. 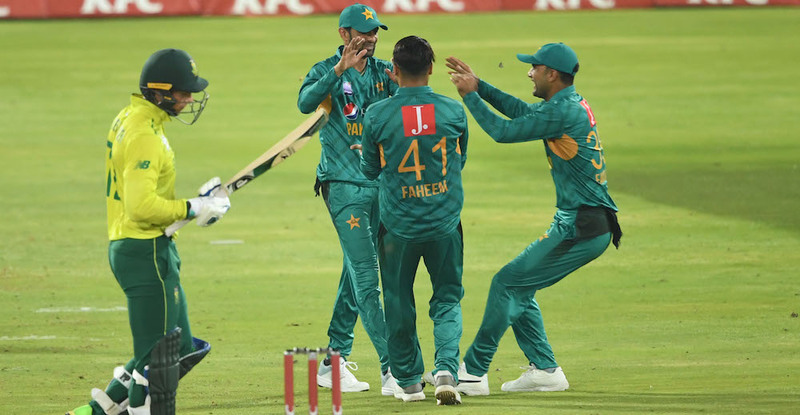 Shaheen Afridi and Imad Wasim struck early to remove the Proteas’ openers – Reeza Hendricks (five) and Janneman Malan (two) – as the hosts were knocked back to 14-2 after three overs and 30-3 after seven overs, with the loss of Heinrich Klaasen’s wicket for just two runs. Miller was next to go as he failed to repeat his heroics at the Wanderers and lost his wicket on 13. Van der Dussen played well for his 41 off 35 balls (two fours, two sixes), but was undone by a full toss from Faheem Ashraf. A hush fell over the Centurion crowd as the Proteas were reduced to 72-5 after 11.3 overs. Andile Phehlukwayo missed his reverse sweep to be dismissed on 10 as the Proteas lost their top six for 80 runs. Chris Morris turned up the heat in the 14th over when he hit 21 runs, including three fours and a six. 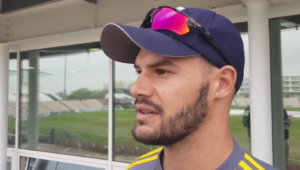 As the in-form batsman, Morris needed to farm the strike, but rotating the strike with Beuran exposed his partner, who was bowled by Faheem halfway into the 16th over as the Proteas lost their seventh wicket with their score on 107. Junior Dala was dismissed for five and Lutho Sipamla was bowled by a fierce yorker from Faheem for a first-ball duck, as the Proteas’ chances dissolved under the Tshwane night sky. Morris finished with a maiden half-century, ending undefeated on 55 off just 29 balls (S/R 189.65) that included five fours and three sixes.